What is the biggest cactus in the world? It’s the Saguaro cactus. 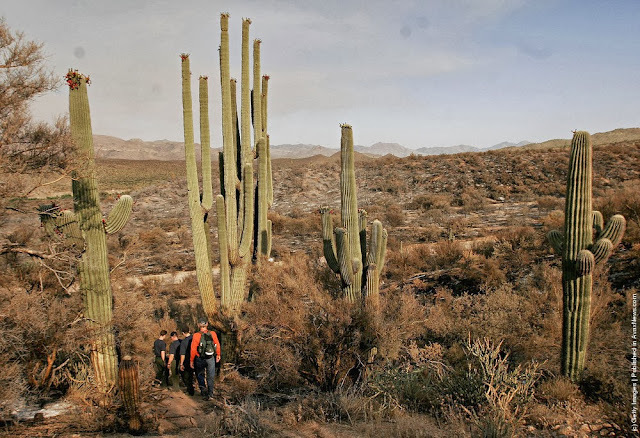 The Saguaro grows to an amazing fifty feet tall! The weight of the Saguaro can weigh up to an awesome ten tons! Guess what? The Saguaro cactus grows beautiful flowers in the spring. The Saguaro grows arms when it is about sixty to seventy-five years old. The saguaro can live up to at least one hundred fifty years old. WOW! The Saguaro lives in the Sonoran Desert in Arizona. The Saguaro cactus is also a home for animals. The Gila woodpecker drills a hole in the Saguaro to build a nest. The Elf owl moves into the nest the Gila woodpecker made when it moves out. Other animals eat the fruit when it falls off. When the Saguaro dies bugs eat the dead Saguaro. The O’odham Indians use the Saguaro cactus too. People use the Saguaro by catching the fruit when it falls. The O’odham’s make candies and juices. They also make syrups, jams, and wines. People make a lot of foods with the fruit. The Saguaro is the king of the desert. Maybe you can go and see one some day too.